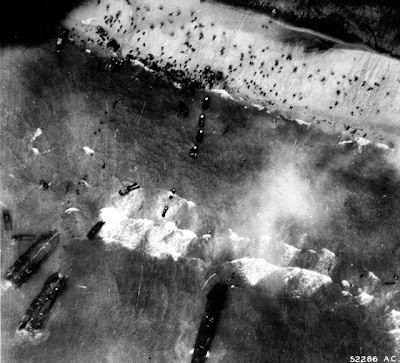 Do you know it´s 70 years from the end of the World War II in Europe today? 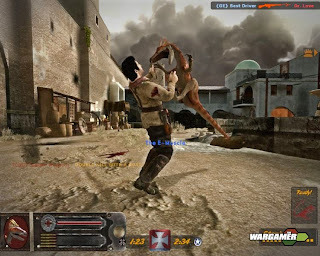 I´m really into the history of this conflict and one of the factors, that played a role in my interest in it, were computer games, which are based in this war. 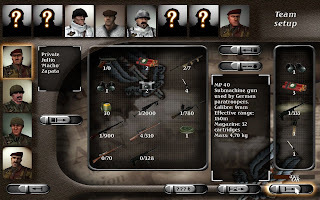 I have written this entry to introduce you into these games, that serve among other things to introduce young people into the history and reality of WW II in a "fun way" (=by playing the game). 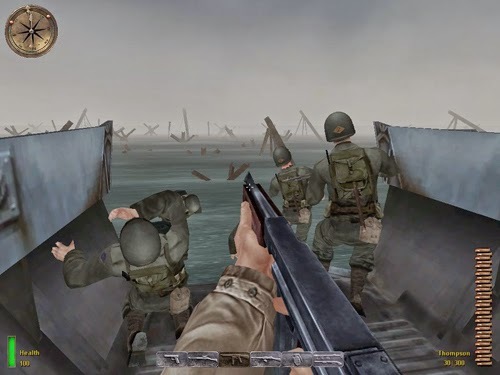 You could say these are only computer games, but it could help the people imagine, how it looked like and how it felt to be a soldier. This is really important and it teaches people to appreciate all soldiers (not only) from the WW II and it´s paying tribute to their achievements and efforts. I am showing you screenshots from these FPS games, that feature the moments, which had a real impact on me (or should have on any other gamer) playing it. Be careful, there are lots of spoilers on the pictures, in the videos and in the text! One of the first games I played in my life was Wolf 3D. I played it with my older brother dividing the keyboard into two sections: I was shooting with mouse and opening doors, he was moving. One of the best moments in game was the final boss. I was Adolf Hitler himself dressed in an iron armor. It was a really good feeling to be able to kill him in game and hearing him say: "Eva, auf Wiedersehen!". It was a feeling of satisfaction and excitement. "How weird!" You just ran out of the boat praying to make it to the fist anti-tank barrier and hide behind it. Dead soldiers everywhere, no medkits, no help, no axis soldier, that you can shoot and so help you from this situation, to be seen. It was just you running in the mist from one barrier to another. In the middle of the beach, there was a medic taking care of a mad soldier, The only thing awaiting on the end of the barriers were machine-guns, snipers and mines. And the only chance for you was the moment of them reloading. It really left a big impression in me. This game taught me a lesson about being a soldier. The whole game Call of Duty 1 had a big impact on my life. It was the first online game I´ve played and it´s still my favourite online game so far. 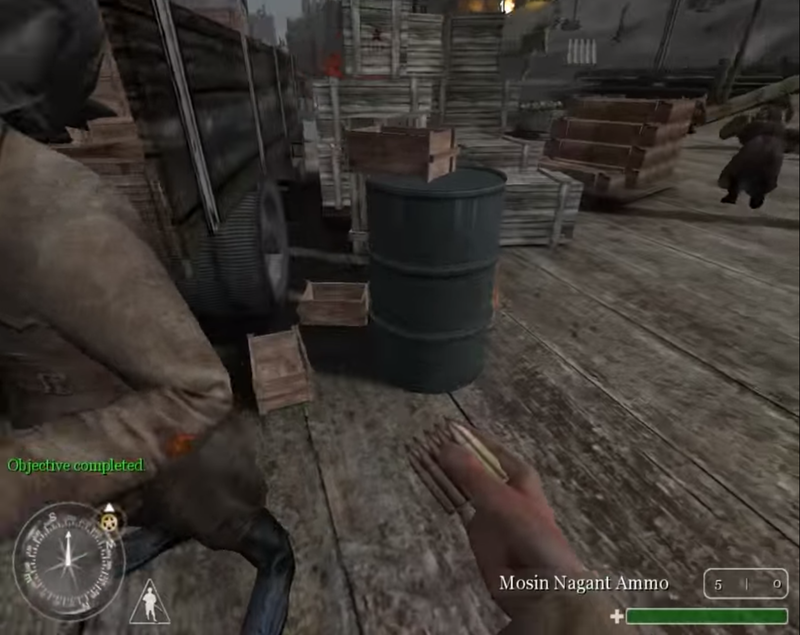 The mission, that really left a mark on the player is the Stalingrad mission. The feeling of fear on the boat crossing the river Volga. That feeling was even more helpless than in MoH:AA. As you´re arriving to the city, you´re seeing other boats with your comrades being destroyed by playne bullets and bombing and you´re really fearing for your life. Your fellow soldiers try to escape from the boat and are shooted by the soviet commisars as traitors... As soon as you get out of the boat, you could get either a weapon, or only a bunch of bullets. Yes, that was a reality: The manufacturing of weapons was far behind on what the soldiers needed, so it could happen you were as a soviet soldier left on the field without weapon forced to search for some gun from your dead comrades. I´m not mentioning a lot of details like notes from the families on the pillars and other historically interesting facts. 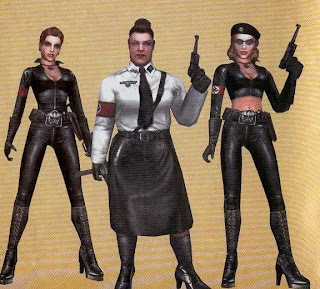 The next mission is starting on the Red Square in the city of Stalingrad, where you had to run forward without a weapon facing the machine guns of your enemies. If you go forward, you have to hide a lot not to be killed and if you run back, you will be shot by soviet forces for treason. The only thing you can depend on are only the wast number of your comrades - that´s what really happened in there. "Maybe the enemy will shoot him and not me." In the fifth Call of Duty game, you´ll return in Stalingrad once again. You have to secretly kill a bunch of enemies with a sniper rifle. Together wit an epic soundtrack, it was the most impressive moment from the game and you get a feeling the live of you and your fellow soldier depends on your aim and abilities (finally!). Both Stalingrad missions (in CoD1 and CoD:WaW) were probably inspired by the movie Enemy at the gates. 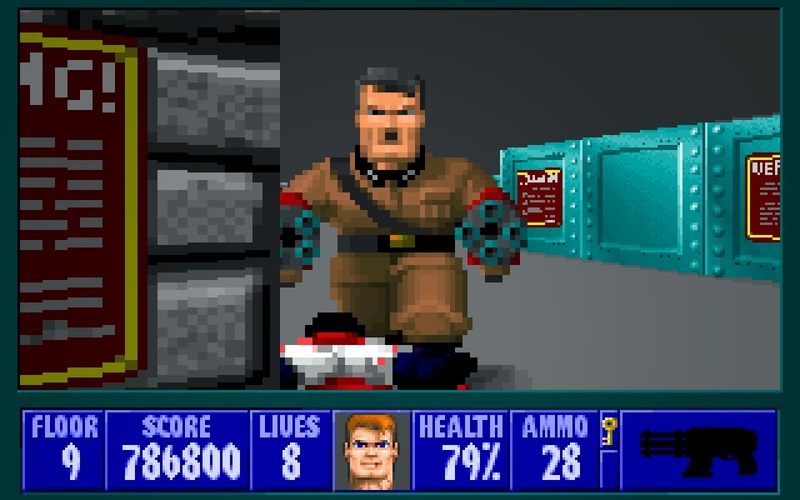 This game is worth mentioning not even because it was a great game for its time, but it was the first game showing what could happen, if the secret research of Nazi Germany actually worked, or if the technology of this time was better. The Wolfenstein games are still making great WWII games exploring various possibilities, occult worlds or advanced technology in their franchise like the Wolfenstein 2009 with other dimensions and ghastly soldiers, Wolfenstein: New Order exploring the possibility of Nazis winning the war and accomplishing their research and Wolfenstein: Old Blood with time travel. Girls jumping and shooting! Though fight! what to wear and what to equip before starting a mission. 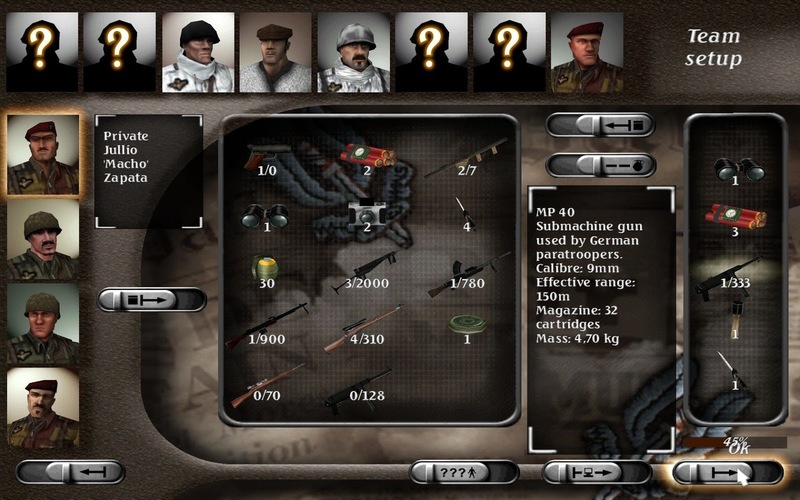 H&D introduced a great game by allowing you to choose and control 4 soldiers at once, dressing them up and equiping them with weapons and others stuff, riding vehicles, switching between aerial controlling, 3rd person view and first person view, giving commands and making the best strategic steps on every map. You have to be stealth most of the time, because the game was realistic even in the damage taken. Second thing I like about this game is that it´s a czech game from czech developers containing a map taking place in Prague, Czech republic. Mortyr is the first WWII game introducing the time-travelling possibility, that lead to destroying the whole world. Online multiplayer FPS game introducing dinosaurs, that helped Nazi war efforts. It´s a real fun to play in a group of friends! These games, that I´m recommending all only the games I ´ve played and I personally like. 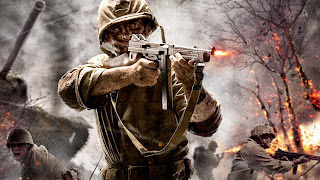 There are a lot of other games from the WWII, which could be even better than the games I´ve mentioned. The whole list of WWII-themed games is here. Software developers set the filters from within the application. So if you know an application, but cannot see it in the Market using the Galaxy Fit, you can contact the developer to know if an version of the application would be made that supports the device.